Directly north of the New Jersey-New York border, Orange County is the only county in New York that borders both the Hudson and Delaware Rivers. Named for the Prince of Orange, the county is full of natural marvels that speak to its rural roots. The western corner of Orange County is bordered by the Shawangunk Mountain Ridge, while its Southern portion empties into the Hudson Highlands. In between the two is a vast expanse of fertile farmland known as the Black Dirt Region. Orange County is considered to be one of the fastest growing places in the New York City Metropolitan area. With convenient rail service to New York City, it’s an easy place for commuters to call home. 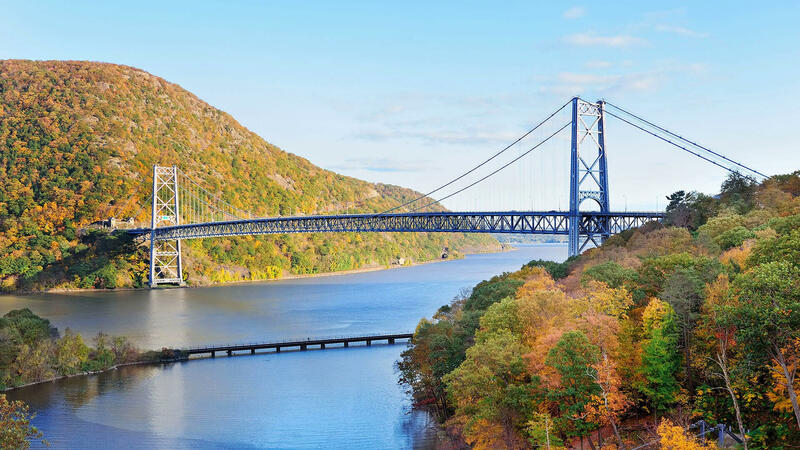 The county boasts some of New York’s biggest landmarks, including West Point Academy, the Storm King Art Center, and parts of the Appalachian Trail. Tourism in the county is alive and well, with plenty to do in the area’s vibrant natural landscape. Raft down the Delaware River or enjoy a leisurely evening at one of the riverside’s many restaurants. Take a stroll down the Newburgh Waterfront, a favorite during the warm summer months. Located in Hudson Valley, the nation’s first wine producing region, Orange County offers tourists a chance to explore several award-winning wineries. Orange County is a great choice for people looking for a country feel with an easy commute to the city.